LONDON – The weather in Brazil was the primary driver of prices in January, which were seen rising initially before falling back down again. Monthly averages of the ICO composite and group indicator prices all fell to their lowest levels since February 2014, with a bearish market sentiment continuing to exert downward pressure on prices. Dry weather in Brazil at the beginning of January spurred prices higher, with the daily price of the ICO composite indicator rising from 140.57 US cents/lb to a high of 155.40 by the middle of the month. However, forecasts of rain later in the month punctured this brief rally,causing the ICO composite to fall back down to 143.43 cents by the end of January. Nevertheless, overall rainfall levels in Brazil remain below average, with the development of the 2015/16 crop now at a crucial stage. Furthermore, an infestation of coffee berry borer has led to a state of phytosanitary emergency being declared in the states of São Paulo and Espírito Santo. As a result, the monthly average of the ICO composite indicator price settled 1.6% lower on 148.24 US cents/lb in January, its lowest level since February 2014. All four group indicators fell, although Robustas were more stable, down just 0.4%. Other Milds increased their premium over Colombian Milds, and now have been trading higher for 12 consecutive months. Total exports in December came to 8.9 million bags, virtually unchanged on December 2013.A 5.5% decrease in exports of Arabica (down to 5.2 million bags) was matched by 9.9% increases in Robusta (up to 3.6 million bags). Exports for the first three months of coffee year 2014/15 (October to December) are estimated 0.8% lower on 25.4 million bags, with Arabica exports nearly 1 million bags lower in this time period. World exports in calendar year 2014 came to 111.7 million bags, which is the highest on record. This export performance has been driven primarily by shipments from Brazil, which has increased from 31.5 million bags in 2013 to 36.3 million in 2014. Exports from Vietnam are also estimated significantly higher, on 25 million bags, which has compensated for a dramatic decline in exports from Indonesia, which have dropped from 10.9 million bags to an estimated 4.5 million in 2014. Colombia, on the other hand, has increased from 9.7 million bags in 2013 to 11 million in 2014. Finally, exports from Central America are mostly recorded lower in 2014 as the coffee leaf rust outbreak continued to affect production, which is also the case in Mexico and Peru. 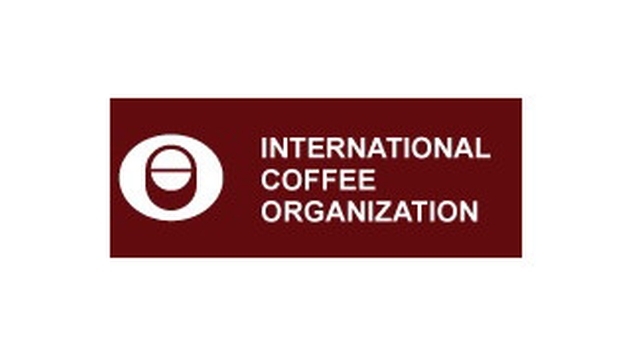 Data on the value of exports by all exporting countries in coffee year 2013/14 are now available, coming to an estimated US$18.5 billion for a volume of 111.9 million bags. This value is 4.1% lower than 2012/13 and the lowest amount since 2009/10, reflecting the lower prices recorded over the last couple of years.